HTC's last year flagship, the U11 is now on sale in the United States for around 15% off, a good deal if you're among the company's fans. 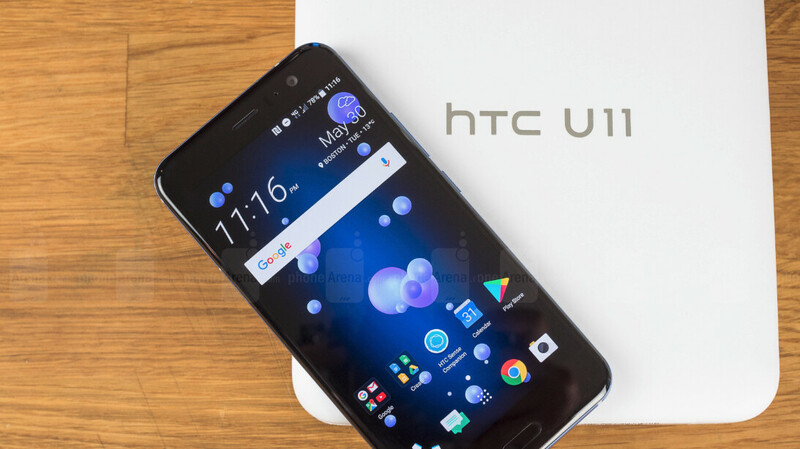 Not counting the discounts the HTC U11 usually gets on eBay, HTC's promotional offer brings the phone's price to where it should be, especially considering that competition has better-priced alternatives. For a limited time, the U11 is available for just $550 via HTC's online store, $100 off the MSRP. The price is for the 64GB model, but the more expensive 128GB version is on sale as well if you feel that you need more storage, although you'll have to pay $630 ($100 off). The smartphone comes unlocked and is fully compatible with major U.S. carriers like AT&T, T-Mobile, and Verizon. Also, you can choose between three colors if you buy the 64GB variant: Solar Red, Sapphire Blue, and Amazing Silver. The 128GB version is only available in silver. If you can't afford to pay the $550 upfront price, you can get the HTC U11 for $0 down and $23 per month for 24 months via HTC Financing. Free shipping is available as well. Nowadays this phone hardly even worth $350 . Try it.You will forget all other phones.I have tried Iphone X, Galaxy s8, one plus 5t etc.It beats all.Also, Pixel 3 camera works on it. It appears Cosmin tries convinces himself it's a good deal while in reality its far from reality.